Have You Started Your Own Revolution? The MAE Award for Best Literature Program for Teens recognizes an outstanding reading or literature program for young adults. Learn more about the 2013 winner–you could be next! How did winning this award affect how you were viewed at your school or community? How did your students react? By admin November 4, 2013 November 4, 2013 Awards, YALSA Info. Do you run a spectacular teen book club that engages underserved audiences? 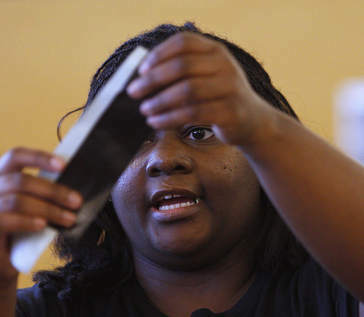 Did your summer reading program or literature festival connect teens with literature in an innovative way? Have you connected teens to literature or helped them gain literacy skills via some other exciting means? If so, you could win $500 for yourself and an additional $500 for your library by applying for award. Individual library branches may apply. YALSA members who have run an exceptional reading or literature program in the 12 months leading up to Dec. 1, 2013 are eligible to apply for the MAE Award for Best Literature Program for Teens, which recognizes an outstanding reading or literature program for young adults. The MAE Award is sponsored by the Margaret A. Edwards Trust. Applications and additional information about the award are available online. Applications must be submitted online by Dec. 1, 2013. For questions about the award, please contact the jury chair, Laurie Amster-Burton. The winner will be announced the week of Feb. 9, 2014. 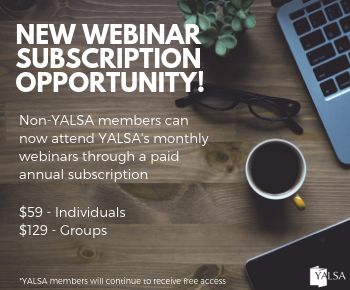 Not a member of YALSA yet? It’s not too late to join so you can be eligible for this award. 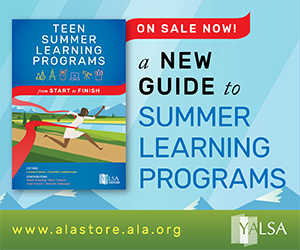 You can do so by contacting YALSA’s Membership Marketing Specialist, Letitia Smith, at lsmith@ala.org or (800) 545-2433, ext. 4390. Meet Dawn Abron. She WOWED the Teen Read Week Committee with her Dollar General Literacy Foundation Grant application this year. We’d like to thank Dawn for taking some time out of her busy week to tell us about what she did with the SEEK THE UNKNOWN theme. 1. 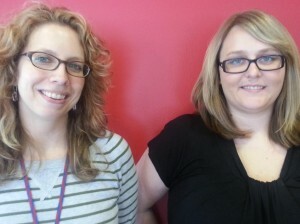 Describe your TRW YALSA/Dollar General Literacy Foundation Grant. Teens in our district enjoy writing short stories so we decided to showcase their passion of writing with an annual competition.’ We used the grant to fund our First Annual ZB Inked Short Story Competition.’ We had two categories: high school and middle school.’ First, second, and third place winners were rewarded with a Kindle Fire, a Kindle Paperwhite, and a $50 movie theater gift card. We began our TRW with a short story boot camp.’ We invited a local author and creative writing teacher, Kathi Baron, to give teens tips for writing great short stories. 2. Tell us a little about your teens’ stories. By admin July 17, 2013 July 16, 2013 YALSA Info. The Young Adult Library Services Association’s (YALSA) Reads 4 Teens recommended reading lists for teen patrons is now available for purchase as a digital download through the ALA Store. Reads 4 Teens is a collection of the best in the latest teen literature and includes 32 customizable pamphlets and 10 bookmarks, each featuring a different theme or genre. By admin May 3, 2013 May 13, 2013 YALSA Info. 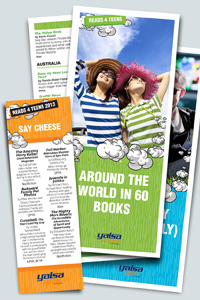 YALSA has announced the results of its election! Candidate results are as follows. Thank you to all who ran for office this year! Visit ALA’s web site for their election results. 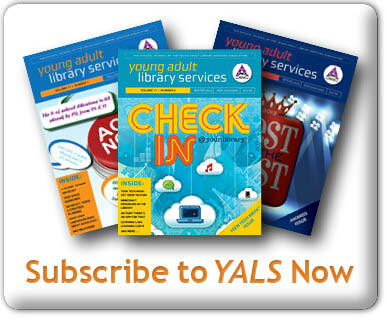 By admin April 16, 2013 May 13, 2013 Election, YALSA Info. Although the 2013 spring election to select the new members of the Edwards, Nonfiction, and Printz Award Committees is still ongoing, members of the 2014 Award Nominating Committee — ‘ Joy Kim, Stephanie Anne Squicciarini, Patti Tjomsland, Rollie Welch, and Pam Spencer Holley — are already at work collecting and vetting viable candidates for next spring’s election. That process which will continue through August of this year, when candidate names will be submitted to the YALSA Board. You! Yes, YOU! What kinds of programs are you doing in your library?! Have you created an innovative program that addresses a new teen interest or need, or a program that might meet an old teen interest or need in a new, unique way? 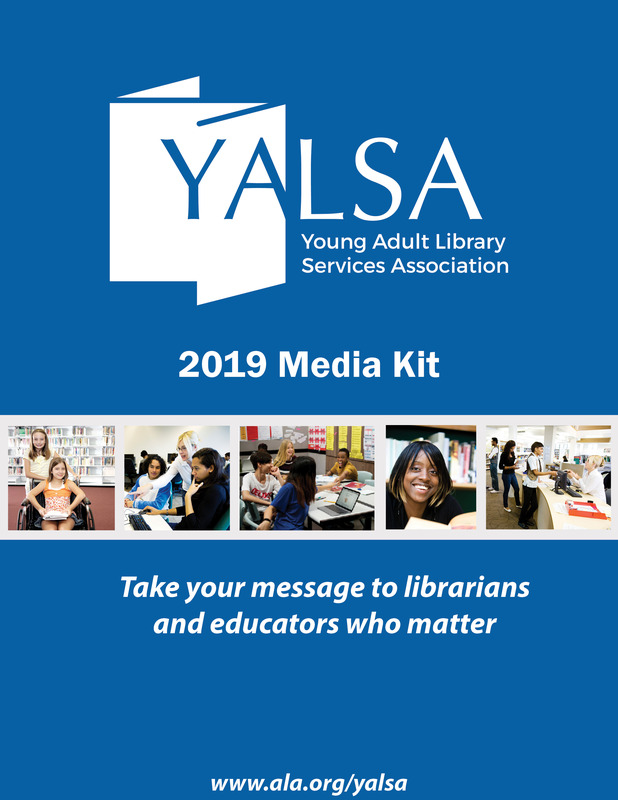 Tell YALSA all about it, and you could win a cash award AND be included in the sixth edition of Excellence in Library Service to Young Adults! 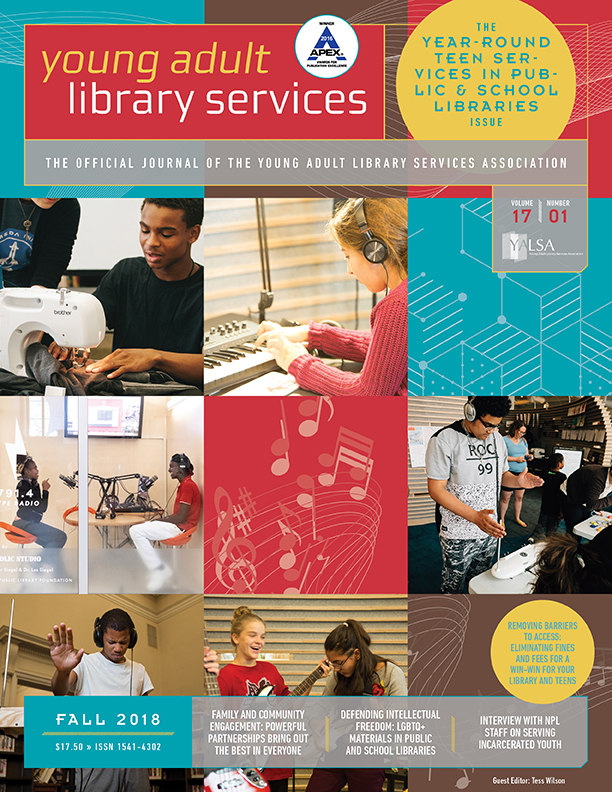 Because we want to hear from YOU, YALSA has extended the deadline’ in the search for Excellence in Library Services’ to Young Adults. We want to hear about your creative programming ideas! Maybe you know someone who came up with an idea that is innovative?! Let us know who they are and we’ll get in touch with them! Email me at ckausch@gmail.com and our committee will ask you all about it! Don’t worry about the application, we want to hear from you directly!